News, updates, and highlights from the Journal of Science Policy and Governance. Engage with the journal @SciPolJournal. Questions regarding a release? Contact us. ​During the STGlobal Conference held in March 2019 at NASEM in Washington, DC, Dr. Adriana Bankston introduced JSPG as a vehicle for students and young scholars to bolster their S&T policy credentials. Meeting link. Volume 14 covers a variety of current science policy topics including climate, energy, geoengineering, product development, and agriculture policy. Read it here! ​JSPG has partnered with Union of Concerned Scientists in a series of blog posts to introduce the journal as a platform for ECRs to publish policy pieces, discuss international science diplomacy and policy debate, illustrate the impact of JSPG on the career trajectory of past editors, and provide a perspective on how policy skills translate into science communication. Learn more. JSPG has announced its 2019-2020 Governing Board. 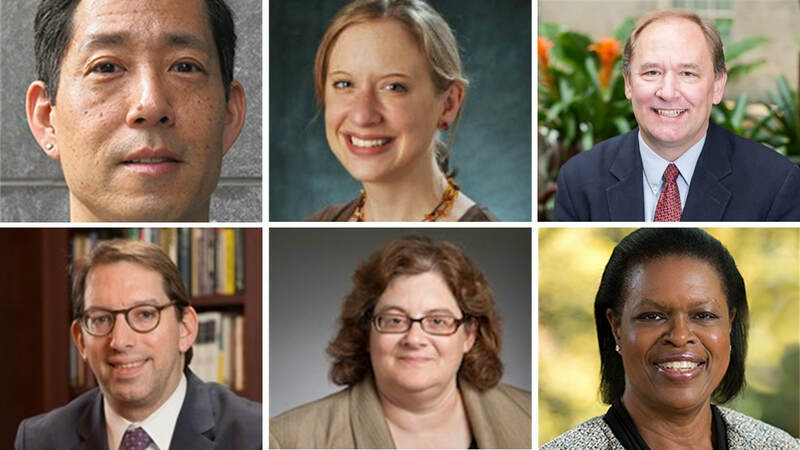 The Governing Board is comprised of leaders and scholars in science policy who provide oversight and strategic guidance for JSPG’s work, particularly for outreach, engagement, and strengthening partnerships. Learn more. JSPG has expanded its efforts to expand engagement and collaboration with science policy and diplomacy organizations outside of the United States with the creation of two new staff positions. Learn more. Science Debate asks candidates, elected officials, the public and the media to focus more on science policy issues of vital importance to modern life. As a registered 501(c)(3), Science Debate is nonpartisan. Under the partnership, JSPG and Science Debate will cross promote and explore collaborative strategies to engage students, postdocs, and early career researchers in science, technology, and innovation policy election debates. On November 10 at the National Science Policy Symposium in New York City, JSPG and the National Science Policy Network launched a new international policy-memo writing competition to engage graduate student science policy organizations in S&T policy. Learn more. ​In her role as JSPG Director of Communications and the Future of Research (FoR) Associate Director of Fundraising and Strategic Initiatives, Dr. Adriana Bankston addressed grassroots engagement of students and early career trainees in science policy and advocacy during a Catalyzing Advocacy in Science and Engineering (CASE) workshop co-organized by the American Association for the Advancement of Science (AAAS), the University of California Advocacy Network (UCAN), and the National Science Policy Network (NSPN) chapter at University of California-Irvine. Learn more and see the agenda here. Interested in partnering with JSPG on outreach or engagement? Contact us. JSPG CEO Shalin Jyotishi gave a presentation during a workshop organized by the National Science Policy Network (NSPN) and hosted by the American Association for the Advancement of Science on how student science policy organizations can leverage JSPG as a vehicle to engage in meaningful science, technology and policy debate. The presentation recording will be available on the NSPN website later this fall. 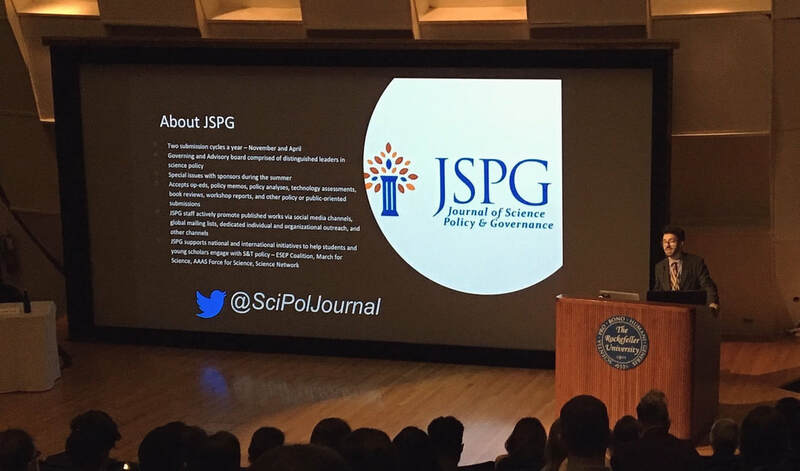 JSPG editor Maddy Jennewein represented JSPG during 2018 Boston Science Diplomacy Conference, co organized by the MIT Science Impact Collavborative and the Science Diplomacy Center at Tufts University's Fletcher School. Jennewein addressed an audience of students and young scholars engaged in international science policy and diplomacy efforts from Boston-area colleges and universities. Learn more. Volume 13 covers a variety of current science policy topics ranging from scientific integrity to autonomous vehicles to state energy policy and more. JSPG has dedicated its 13 volume to its late advisory board member Dr. Homer A. Neal who passed away earlier this year. Read vol 13 here. 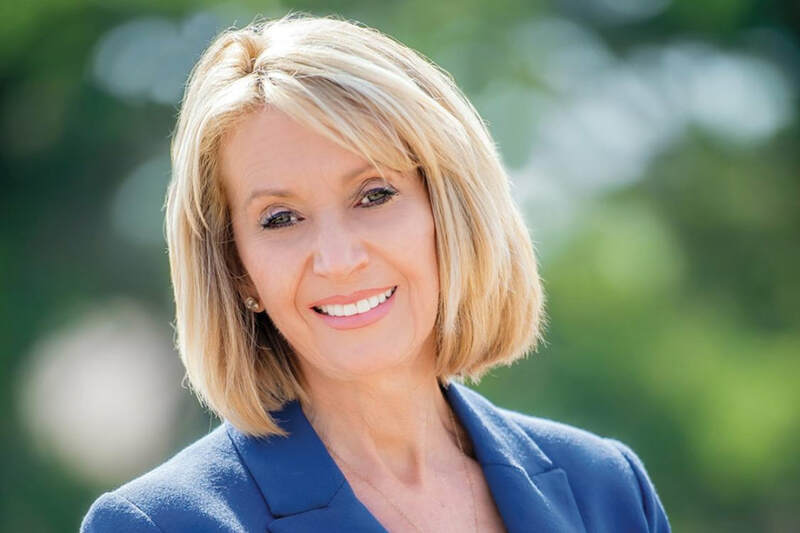 JSPG is pleased to welcome Adriana Bankston as its new Director of Communications and Outreach. Adriana brings a significant amount of science outreach, engagement and communications experience to the JSPG team along with a passion for empowering early-career trainees to have their voice heard in policy debate. Learn more. JSPG CEO Shalin Jyotishi and Senior Director Gary Kerr gave an overview of the journal before the Government-University-Industry-Research-Roundtable (GUIRR) at the National Academies of Science, Engineering and Medicine (NASEM). View the recording here. Dr. Marcia McNutt, President of the National Academy of Sciences and past Editor-in-Chief of the Science family of journals has joined the JSPG Advisory Board. Dr. McNutt brings decades worth of leadership in the scientific and science policy expertise to the journal. Learn more. Volume 12 covers a variety of current science policy topics ranging from space, to the environment, to health IT and more. Read it here!